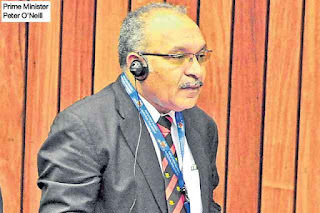 Prime Minister Peter O'Neill, says it is by law that all District Development Authority meetings be held in the districts, for service delivery to reach our districts and people. He made these remarks while in his Ialibu to attend the DDA meeting, today. 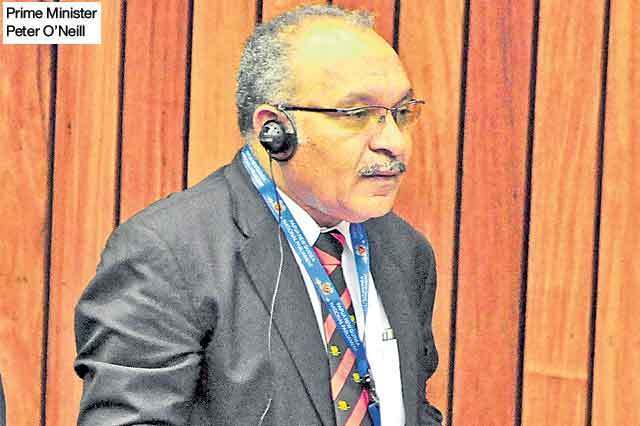 "There are some projects that have been started and are yet to be completed," PM O'Neill said. He said the funding we receive from the Government must be distributed in order for us to deliver services to you - our people. "I am certain that Ialibu-Pangia is changing with the new university being constructed, as all funding allocated has been released by the government to speed up the construction. "Our country is diversified thus there are many challenges everywhere. But i am confident we can tackle these issues if we continue the delivery of services to our districts. "I will return in the coming weeks to open the PNG Power office along with the Ialibu-Kagua road, which i just inspected and am pleased with the progress," PM O'Neill said. He said our DDA members are also focussing on our feeder roads that lead to the main road. "All these roads must be sealed to ensure our people have easy access to basic services. "We also plan to upgrade our hospital in line with the standard of the new university and train more doctors to service our people in the rural areas," PM O'Neill said. He also said community and school issues were also discussed in the meeting and measures are in place to address them. "With the new Ialibu-Kagua/Erave-Kikori Highway almost completed, you will be able to drive down to Kikori where you can get services from there as well," PM O'Neill said.